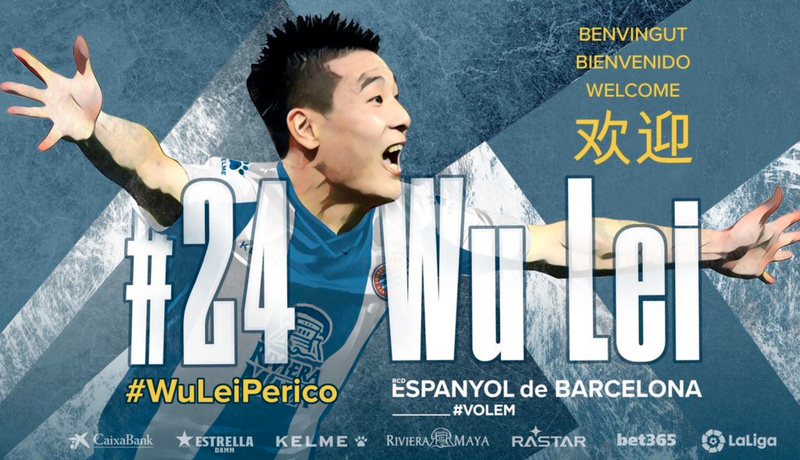 Another player who was linked to the English leagues is Wu Lei, the striker was announced on Monday as a new signing for Spanish La Liga side Espanyol. The fee the club paid is reportedly around the £3 million marks so if he hits the heights he as done in the CSL this will be a bargain. The Chinese striker who was injured at the start of the Asian Cup has been impressing in China now for a number of years. The player has been the Chinese top goal scorer in the CSL for the last six seasons and in the most recent season, he helped his side Shanghai SIPG win the CSL title. In winning the league title the player also won the Leagues Golden Boot and was the first Chinese player to do so since Li Jinyu in 2007. The striker has a very impressive record in China to 120 goals in 217 games for Shanghai SPIG, including 27 in the league last season. It will be very interesting to discover if the player can do it in Spain but the 27-year-old has the ability. He was once even compared to Argentina legend Diego Maradona by the coach who discovered him according to the BBC. From an early age, a lot was expected of Wu with the player holding the record for the youngest player in the CSL when he made his debut at 14 years and 287 days in 2006. If Wu Lei is to shine it will be desired in that this will encourage the top teams to look to Asian market more for talented players. This it will be believed could help develop players further and in turn improve the national sides in the Asian regions. Although saying this the excitement for this move in China shows how far the CSL is behind the top European Leagues. I say this due to fans being happy the player his developing rather than being disappointed he is not helping to improve the CSL talent.